Pushbullet bridges the gap between your desktop/laptop and your mobile device doing 2 things, first it mirror the notification on your mobile to your laptop screen. Second you can send links, files, photos etc between the desktop/laptop and the mobile device. It is great to know who just sent you a text message while your phone is being charged and your are working on your laptop. Shush is a very simple app, it lets your keep your phone in the silent mode for a given amount of time. Lets say you are going to a meeting that will take 1 hour then your keep your phone in silent, shush time selector appears which you can configure to 1 hour and you are done. After 1 hour your phone will come back to ringer/sound enabled mode. Mote.io turns your Android phone into a remote for Youtube, Soundcloud, Pandora and other online media playing services. It is super handy when you want to go on the ‘couch mode’ and watch those videos on Youtube. Spendee helps you track your expenses in an easy and visually enticing way. You can add your expenses on categories like Home, Utilities, Car etc and get a graph of your expenditure. It is very useful to know ‘where your money goes’ and manage your expenditure. 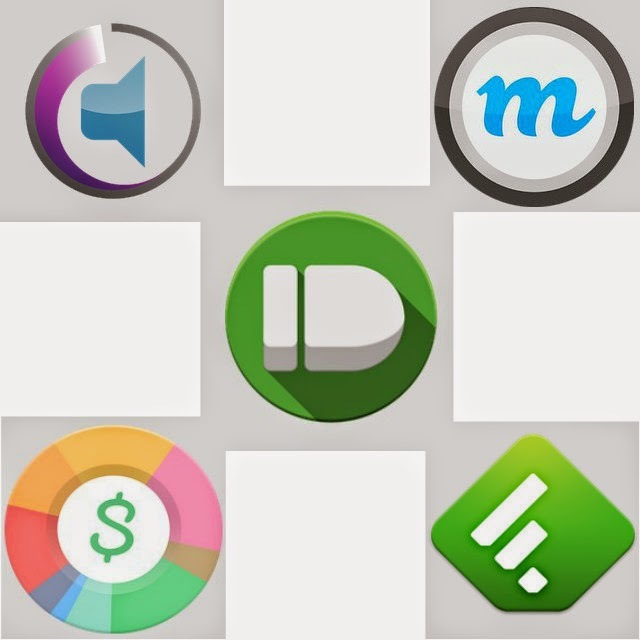 Feedly is the Google reader replacement where you can read all your RSS feeds at the same place. It is configurable and you can slide through the content, skim through and read important ones. Its integration with Pocket makes it a jiffy to read anything later if you like it. I hope these apps make it easier and smoother to do your daily activities.